Here’s How You Can Book A Trip For Just $1 | Newsmediaone.com ! There’s no booking code to secure the $1 deposit discount. Travelers are given the option to pay in full or lock down their trip for $1 during booking. Instead, payment is due in full at least 56 days prior to departure, according to an Intrepid Travel spokeswoman. That’s excellent news for the 24 percent of Americans whose New Year’s resolution is to travel more, and whose wallets need replenishing post-holidays and tax season. Interestingly, Intrepid Travel is the largest B Corp in the global travel industry. That means they meet the highest standards of verified social and environmental performance, public transparency and legal accountability. In short, they work to balance purpose and profit. 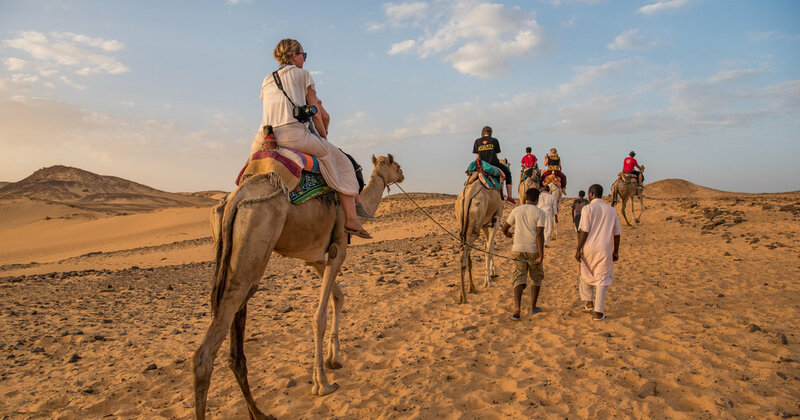 Whether you’re into a sailing adventure in Thailand, 13 days exploring Morocco, or exploring Machu Picchu and the Amazon, there’s a trip out there for every kind of traveler. That said, there are a few exceptions to the trips to the $1 booking deal, including polar trips, expedition trips, adventure cruising, short breaks, gorilla treks and the Inca Trail trek, but that still leaves more than 1,000 trips and adventures to choose from. Check out Intrepid Travel’s full list of $1 deposit travel deals. *An earlier version of this article incorrectly stated that airfare is included in the price of Intrepid Travel trips. Intrepid does not include airfare in trips.